HIWEX had the most liked content! Sold to Steve, glad that it sold to an enthusiast through this forum - even with the R badge😁! The lure of a new XJ proved too much and I have now to part with my beloved S-type. 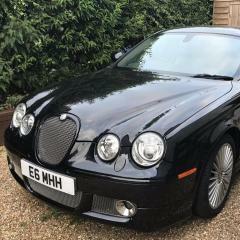 Its a 2006 (55) 2.7d sport to SE spec, meaning it has the full body kit of the sport, with glass sunroof, xenons, daylight running lights, touchscreen sat nav with premium sound by Alpine. 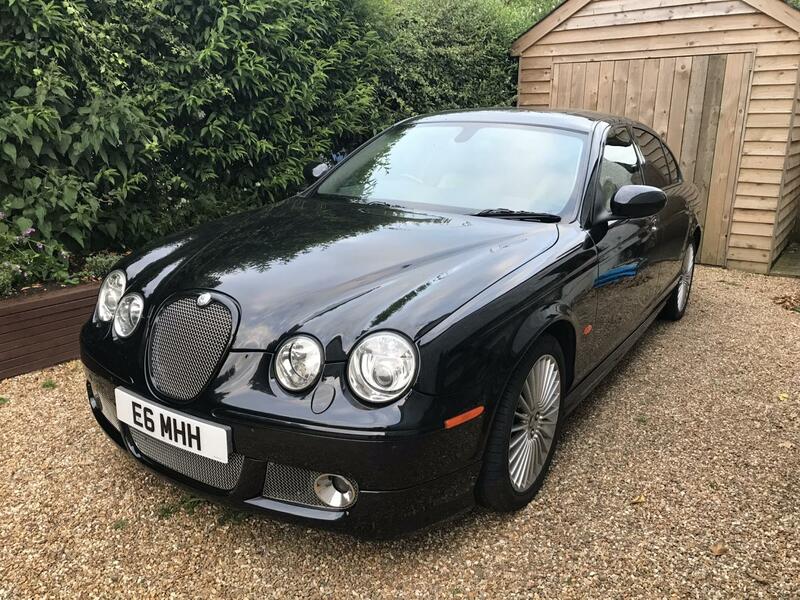 It’s covered only 72,000 miles from new and is in excellent condition for its age, a few small scratches, but no dents, no corrosion, unused spare etc. It’s finished in metallic black, with very good barley leather. The alloys have been professionally refurbished and are as new, the privacy glass is film that I had done last year. I’m looking for offers over £3k, it’s a bargain at that price. I’ll MOT it in the next few weeks before sale. Interested? ring me on 07801 239050. I’m in Hook, Hampshire. Oh, and the private plate is already on the XJ, so not included. Cheers, Mike. I’ve had a very enjoyable 2-weeks with all sensors working, now one of the front sensors has failed, which stops the rears being effective, so I’ll now go straight to a full set replacement.... I’m determined to get everything working on this car! Keith, if yours are like mine were, they need replacing all together, I tried just changing the non-clicking one, but it didn’t work, they were all clicking and still not working? Removing the bumper is such a pain, it really is worth changing them all. I bought these https://rover.ebay.com/rover/0/0/0?mpre=https%3A%2F%2Fwww.ebay.co.uk%2Fulk%2Fitm%2F173457820998 , it helps that my car is black so no painting was needed. Good luck! It seems that I just had a dodgy sensor, I replaced all four and they are now fine! I also found that the wheel well wetness was from the area where the boot seat crosses the plastic panel just inside the boot, it makes sense as it’s only leaked since I started messing with the bumper and had to remove the seal to get at it. A finger of black silicone to each side has it dry again. Thanks all for your suggestions. OK, I’ve finally changed the faulty sensors, only I haven’t cured the issue, just changed it. All the sensors now click and I no longer get a red light by the rear view mirror, just the usual green one, but I do get a continuous bleep when I engage reverse, almost as if one or all of the sensors are thinking they are seeing some obstruction. I’ve cleaned them all and what’s weird is that before we fixed the bumper back fully we tried them all and they all worked? Ive checked the module and I have a spare and no change, so I’m sure that’s OK, especially as the sensors are all clicking..... Anyone got any bright ideas? Luckily for me, giving the car a good rock to agitate the fuel in the tank, a full charge of the battery plus the booster pack and it started, the pump obviously cleared an air lock. All now OK, lesson learned, I’ll run it 1/4 to full in future. Hi, I’m frustrated with myself, I let the fuel level run too low (range indicated 15 miles) and ran out 50 yds from ththe petrol station....the first time in over 30 years I’ve run out and the only time with the car still telling me I had fuel? I can only presume I’ve now got air in the system, as now it won’t start. I’ve added 2 cans of diesel, yet it still shows a range of only 15 miles? I know how sensitive the battery level is, so I’m giving it a full charge, but lack any ideas as to what else to do. Anyone seen this? I’m inclined to replace all the sensors while the bumper is off. I can see that some are straight and some are right-angled, does anyone know what I need to replace all the rears?